Why prune trees? Because it keeps Minnesota Tree Service Companies, like ours, in business. Ha ha! That does help, but there are a few more legitimate reasons to prune trees and we would like to share them with you. Why is Tree Pruning Important | Why Prune Trees? It is likely you’ve heard the wind howling while you stay warm and dry inside your home. If you have matured trees surrounding your home that have not been pruned in a couple of years, you may be jeopardizing your warm and dry status. Trees fall on homes constantly, we have been all over the local Minnesota area responding to emergency calls of fallen trees on homes, garages, vehicles and power lines. Hiring a professional to prune the trees on your property can save you from a potentially stressful and expensive scenario. Our ISA Certified Arborist inspects limbs and removes low hanging branches, weak and dying limbs before they become a problem. Trees are living. So, if you want them to stay beautiful and continue to clean the air we breathe, they may need a little pruning. Broken, low hanging branches and other injuries result in a tree being more susceptible to invasive insects, diseases and other instabilities. That is why a tree with a broken branch should have a professional make the correct cuts to increase recovery time and decrease the chances of problems escalating. The beauty of a tree can be easily forgotten once the low hanging branches scratch up your vehicle’s paint job, poke you in the eye, play a spooky melody for you at night…you see where this is going. Consequently, for the safety of not only you, but also your property, it is smart to get the trees trimmed on your property every couple of years – or as needed. So that you can drive confidently, sleep soundly and keep both your eyes. The truth of that matter is that no one – really – has their stuff together. But another truth is that no one really wants anyone to know that. So, if you are trying to put your best foot forward, even if your other one is stuck in the mud, trimming the trees on your property will surely increase curb appeal. Now we know Why Prune Trees, but what about when? When to Prune Trees | What time of year to Schedule a Tree Pruning Service? The best time to prune your trees is in the dormant season. Which means the winter. This seems far from the truth but let me explain why… In the dormant season trees are not using their energy to produce leaves, therefore there is less sap and growth. This means that the tree can heal from the wound faster and invasive insects won’t be risking their lives to find a new host. 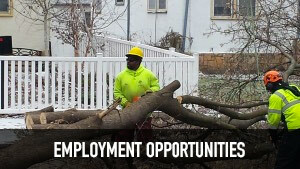 This entry was posted in Tree Trimming MN and tagged Minnesota Tree Service Companies, Reasons to Trim Trees, Tree Trimming, When to Prune Trees, Why To Prune Trees. Bookmark the permalink.